A new information pack has been made available from ABB to help simplify the selection of flowmeters for process applications. Featuring a white paper, application guide, webinar presentation and video, the pack explains the key differences between volumetric and mass flow methods and how to choose the right method for industrial process applications. Understanding how to correctly select the right flow variable can lead to significant improvements in process performance and cost effectiveness. 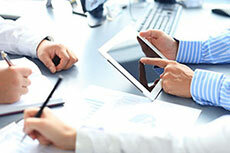 Though both technologies will deliver almost identical results under certain conditions, the deviations that can occur where a process is subject to pressure and temperature changes makes it crucial to make the right choice from the outset. The information was originally produced for the launch of ABB’s latest generation of CoriolisMaster flowmeters, and explains the fundamentals of mass and volume flow and which technique is best suited for particular types of applications. The white paper, ‘Mass or volume? A weight off the bottom line’ covers coriolis, thermal and multivariable DP mass flowmeter technologies, explaining how each one works and their respective advantages and drawbacks. The paper highlights why it can be better to measure mass or volume flow directly, rather than expressing mass flow measurements in volumetric units, in order to eliminate possible errors caused when factoring in standard or normalised conditions for temperature and pressure. Differences are further explained in the ‘Understanding mass flow’ video. The video shows why volume flow is not enough if one wants to know the exact amount of a substance moving through a pipeline and how measuring mass flow can provide qualitative and quantitative data which volume simply cannot. ‘A new generation of mass flowmeters’ explains the importance of capacity, accuracy and physical size when choosing a flowmeter and how each criteria can be met by opting for a coriolis flowmeter. The guide also looks specifically at key applications in the oil, gas and petrochem industries where coriolis flowmeters can be used to enable accurate control and measurement of gas and liquid flows. 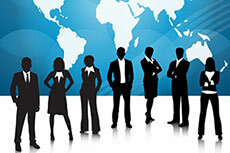 Information on other potential applications where Coriolis flowmeters can be used is in the webinar. The presentation covers various topics such as the unique way they work through to why mass flow is the most accurate and useful form of flow measurement. In 2014, ABB delivered robust growth in orders of 10% on a like for like basis to US$41.5 billion. ABB has devised a new cost of ownership formula to help motor users to make more informed purchasing decisions. 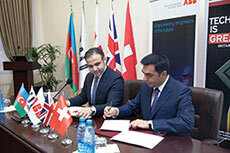 ABB UK has signed an MoU with Baku Higher Oil School (BHOS) to develop training for oil and gas personnel in Azerbaijan.